3d printing just became semi-affordable! 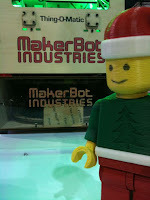 What you see below is the handy little MakerBot Thing-O-Matic 3D printer that was best of show at CES earlier this year. The unit costs $1300 and the plastic pellets used to print stuff cost $5 a pound. And it connects to your PC via USB. Now you won't be printing car prototypes or anything but picture this: missing Lego pieces. Since the last Lego patent expired, I'm still expecting that the Lego market is about to be overrun with imitators. Anyone will legally be able to make Lego. That means prices for Lego-style sets are about to go throug the floor. And quality will likely go down. So chances are your kid is going to get some sets with missing pieces, as happened every so often when you opened a generic brand 500 piece puzzle from your great-aunt twice removed. But will it bother you? No way! You'll just march down the hall and print the missing piece yourself! In fact, now when the muse strikes you and the kids, and you find yourselves building a Lego creation for which you need a bunch of same coloured or custom pieces, are you worried? Stressed? 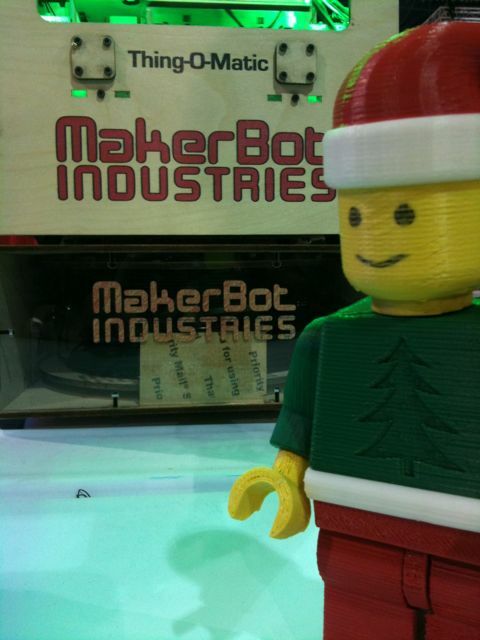 Yeah, that Lego printer just made you the hero.